Premier Auto and Truck Parts specializes in obtaining and selling only quality used engines for both domestic and foreign cars, trucks, and SUV’s. All of our recycled engines are OE (original equipment) parts from salvage vehicles that are 10 years old and newer and typically with low mileage. After being removed from the vehicles, these engines are inspected at least three times. Best of all, these quality used motors come with our standard 6 months parts warranty. Bumpy, jerky riding caused by dead or misfiring cylinders. Black, blue, or white smoke each signifies its own particular problem. Black: There is too little air or too little gas in the engine. Blue: Your engine is burning too much oil. White: There is a damaged cylinder head or head gasket. Loud, knocking noises may indicate a failed bearing. Continuous repair jobs may mean its time to evaluate your options. As with all of our used auto and truck parts, each of our used engines are test run when possible, and quality inspected at least three times before it is sold. First: It is inspected at the time it is inventoried. Second: Next, it is examined when it is removed from the vehicle and then placed on the shelf. Third: Finally, it is inspected once it is sold and before it’s delivered. In addition, our dedicated team continually receives education and training concerning the most up-to-date methods as well as the latest quality and safety regulations for in-house quality control of used engines. One of the most obvious benefits of buying a quality used engine is the substantial cost savings. The price of a new engine – depending on the model and year of your vehicle – can vary considerably. In fact, it could cost you far more than what you were prepared to pay. A used engine, however, will be the more affordable way to get your vehicle up and running again. Contrary to popular belief, used engines may be much more dependable than buying a new engine. Why? Because used engines have been tried and tested to make sure they are in excellent running condition before being purchased. This dependability and reliability will ultimately save you time and money in the future. Buying a used engine helps you “go green” by preventing it from ending up in a landfill and contributing to the waste stream. It also decreases the amount of energy that would then be used to produce new ones as well as lowering the amount of greenhouse gasses and emissions put into the environment. At first it may seem easier just to buy a new car rather than trying to repair or replace your engine. However, you will then have to go through the whole process from getting a new registration to changes in your insurance policies as well as the added costs that are involved when purchasing a new car. So although replacing your engine with a used engine may require more work and time upfront, the benefits will far outweigh the hassles and costs of buying a new car. quality recycled transmission as soon as possible. Premier Auto and Truck Parts provides used truck, car and SUV engines as well as used car engines. We also take in both domestic and foreign vehicles. Locating hard-to-find quality used engines is another specialty here at Premier Auto and Truck Parts. With modern technology at our fingertips, we have the ability to locate quality used engines within seconds. With instate access and our own trucking system to over 40 additional warehouses across the Midwest United States, we can order almost any engine part you need. We have decades of combined experience and the most advanced locating devices, you can be assured that Premier Auto and Truck Parts is your right choice for the best quality used engines. At Premier Auto and Truck Parts we take the fear out of buying a quality used engine by including our unparalleled 6-month parts warranty with your purchase. In addition, we also offer 6 month, 1 Year, and 3 Year Parts and Labor Warranties. (See our warranty offers for more information.) 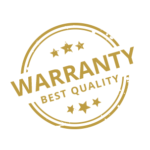 The bottom line is, that depending on the type of warranty you would decide to purchase beyond the initial 6-month part warranty, we will provide a free replacement should your used engine fail and also include the labor cost involved to install the replacement used engine. Premier Auto and Truck Parts offers FREE next day delivery covering all of West Michigan and also parts of Central and Southern Michigan. If you live outside of this area, we also freight transmissions utilizing LTL/common carriers to all of the United States and worldwide at very competitive prices.